Q&A: Is it safe to run a laptop without a battery? Question from Tim H.: Hello Rick. I have what is surely an easy question to answer. Is it safe to run a laptop without a battery installed? I’ve heard conflicting answers and I’d really love to have your opinion on the matter. 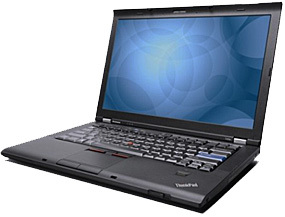 I’m asking because the battery in my Lenovo ThinkPad T400s has gone bad, and I don’t really want to replace it unless I absolutely have to. I plan to use this machine as a “Desktop PC” until it completely stops working. 1 – A battery can come in handy at times even when a laptop is used as a “Desktop PC”. For example, it can serve as a built-in battery backup/UPS during times of severe power fluctuations and momentary outages (which happen to occur fairly often) . Have you ever had the power go out right before you save a lengthy document that you’ve been working on? If so, you know how troublesome that can be. 2 – While your intention is to use your laptop as a “Desktop” PC, you might wish to temporarily move it to another room or take it with you on a trip every now and then. And both are much easier to do if there is a hot battery installed. And by the way, I always recommend traveling with an older, less valuable laptop that won’t cause a mountain of grief should it get lost, stolen or damaged. 3 – Most replacement laptop batteries are actually relatively cheap these days. As a matter of fact, as of this writing brand new replacement batteries for your T400s are quite affordable. Bottom line: You can indeed run your laptop without a battery for as long as you like, but you might want to consider buying a replacement battery anyway for the reasons mentioned above. Bonus tip #1: Read this post to learn why I now recommend buying third-party replacement batteries instead of “OEM” batteries made by your laptop’s manufacturer. Note: The “replacement batteries” link in this post is an affiliate link.